Why limit tacos just to Tuesday? The combination of tacos and margaritas works any day of the week. 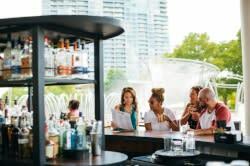 If you’re looking to taste some tacos or mingle with margaritas this spring, try some of these favorite spots around the city! In addition, there are dozens of taco trucks serving more or less authentically Mexican fare around the city as well - though they don&apos;t serve margaritas alongside their meals. Track them down here. Condado Tacos uses a black and white Day of the Dead décor as a backdrop for serving build-your-own tacos. They let you create your own from choice of meats, sauces, cheeses, salsa, and toppings. There are creative picks like jicama slaw, chipotle honey sauce, shrimp ceviche, and more. These are paired with a huge selection of tequilas you can sample by the shot or in specialty margaritas. 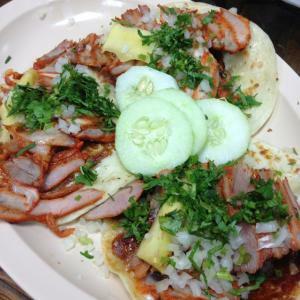 Bakersfield features tacos from the spicy to the smoky, using everything from braised chicken to mahi tuna to al pastor pork. Their margaritas can be ordered by the glass or as a pitcher to share. El Camino Inn is a faux vintage spot that nails the basics like tacos with fresh onion, cilantro, and your choice of meat on corn tortillas. Tuesdays you can come in for fish tacos. They all go well with the El Camino Margarita! Local Cantina offers three spots – Grandview, Gahanna, and Clintonville – to enjoy beer, tequila, and tacos in a casual setting. Tacos can be filled with everything from carnitas, brisket, and fish to veggies, migas, and tempura shrimp. Likewise, you get to choose from 10 different margaritas. Park Street Cantina is a nightlife spot featuring one of the biggest whiskey selections in the city. Their menu includes generous portions of flavored margaritas plus a taco list with all the basics: steak, chicken, fish, and veggies. Hass in Dublin might fly under the radar in its strip mall location, however, it’s built a small but mighty taco menu with shrimp tacos, fish, and spicy al pastor. They’ve scored a liquor license, too, so they’re serving up margaritas and other tequila-based cocktails. 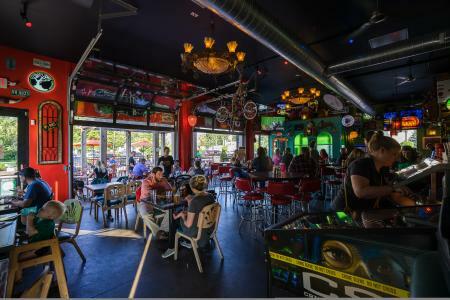 Mojo TaGo has transformed from a food truck to a carryout to now a sit down bar and restaurant in Powell, so now you can beer and margaritas to their roster of tacos. That’s a starting point! Where do you like grab tacos and margaritas?